Dr. Evan F. Risko is a Canada Research Chair and Assistant Professor in the Psychology Department at the University of Waterloo. He received his Ph.D. from the University of Waterloo with Drs. Jennifer Stolz and Derek Besner and was a Killam and NSERC Postdoctoral Fellow at the University of British Columbia with Dr. Alan Kingstone. He began his career as a faculty member at Arizona State University, then moved to the University of Memphis before finally returning home to the University of Waterloo in 2013. Dr. Risko's early research touched on a number of topics including visual attention, reading, and cognitive control. Recent projects in his Cognition and Natural Behavior Laboratory have focused on understanding how we use our body and the physical/social environment to help us think and how this coupling ultimately shapes our thinking. He is also interested in issues related to "ecological validity" and, relatedly, in translating basic research into more applied domains. With respect to the latter, this has included a number of studies investigating attention in educational contexts. 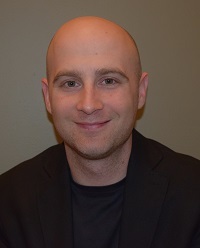 Dr. Risko has published over 40 papers in a variety of journals including Cognition, Journal of Experimental Psychology: Human Perception and Performance, Journal of Experimental Psychology: Learning, Memory and Cognition, Cognitive Science, Psychological Review, Journal of Educational Psychology, and Applied Cognitive Psychology amongst many others. In the broader community, his work has been well received both nationally and internationally, having been featured in such news outlets as TIME, the Globe and Mail, CTV, and NPR. He has received funding for his research from NSERC, SSHRC, the Canadian Foundation for Innovation, the Ontario Research Fund, and the Canada Research Chairs program. Dr. Risko has been awarded a number of accolades throughout his career including two Alumni Gold Medals as a graduate student at the University of Waterloo and a number of conference presentation awards including a Donald O. Hebb Graduate Student Poster Award from the Canadian Society for Brain, Behavior and Cognitive Science in 2006. Finally, Dr. Risko has a deep passion for mentoring students and takes great joy in the successes of the undergraduate and graduate students working in his laboratory.